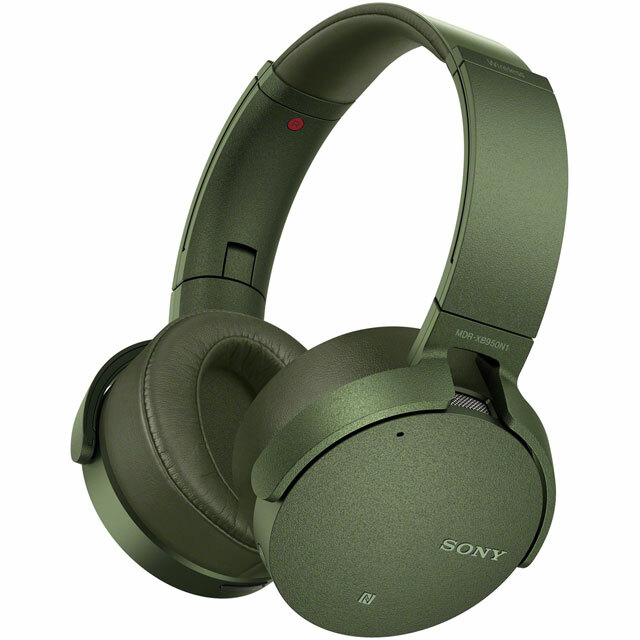 These black on-ear headphones from Sony immerse you in your favourite albums and playlists, with superb audio quality. They have a 22 hour battery life and Bluetooth connectivity which gives you the freedom to follow the beat wherever it takes you - without wires holding you back. Plus, by using sophisticated noise-cancelling technology, this model gets rid of background sounds, for the ultimate listening experience uninterrupted by the outside world. Around the edges of the headset is an intuitive set of controls which you can use to play and pause music, add bass and even answer phone calls. As they are foldable, you can slip them in your bag too. And, with an adjustable headband, you can be sure you always get the best fit. With Bluetooth connectivity, you can hook up to all your compatible devices without being held back by wires. Simply head to the Bluetooth menu on your smartphone or music player to get connected. Because it’s wireless, there’s a built-in battery which runs for 22 hours when fully charged. So you’ll enjoy constant entertainment throughout your commute and evening jogs all day before needing to recharge. Noise cancelling headphones use a sophisticated design to ensure that you get the best audio quality – whether you’re listening to music or taking calls. They use clever technology to block out background noise, so you can listen to music or talk to your friends without interruption – even on busy buses and trains. Excellent sound quality and super comfortable to wear. Quality to price met expectations. The also look good. Amazing gift for any one who loves their music, amazing product fast delivery amazing price. One very happy customer. Headphones are very comfortable can go hours without problems, sound is excellent quality. can enhance the bass if required comes with app which is simplicity to use. Due to being designed for extra bass may not be suitable for classical music. I am delighted with ease of use and build quality so far.